On the banks of the River Teith lies the Deanston distillery, to the north of Stirling. It previously operated as a cotton mill, and was once home to Europeâ€™s largest waterwheel, but it was decided that it would be best suited as a distillery due to its close proximity to a fresh water source. 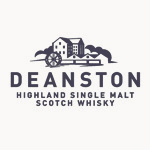 Deanston is one of the leading â€˜greenâ€™ distilleries, as it is self sufficient and produces certified organic spirit. Most of the whisky from this distillery is used in blends but around 15% goes into its own official bottlings.